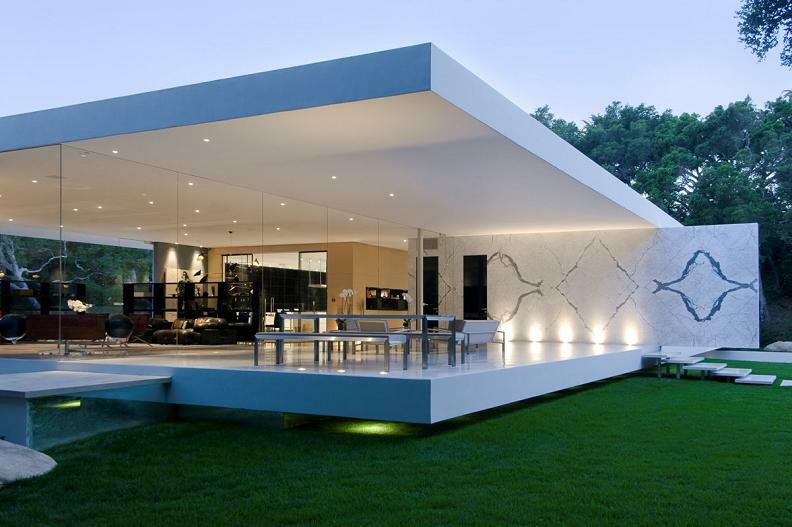 The Glass Pavilion is a redefining structure within modernism. 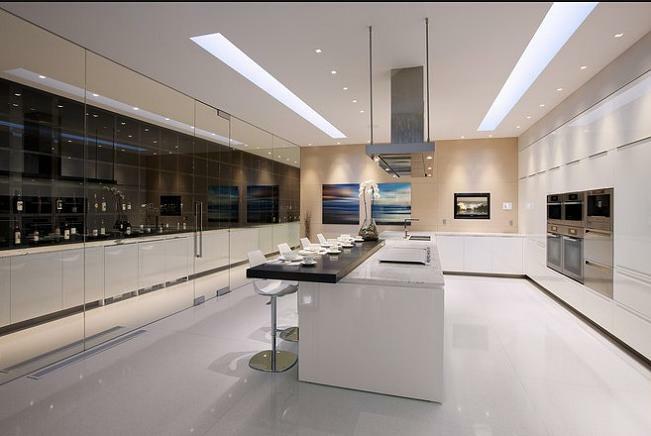 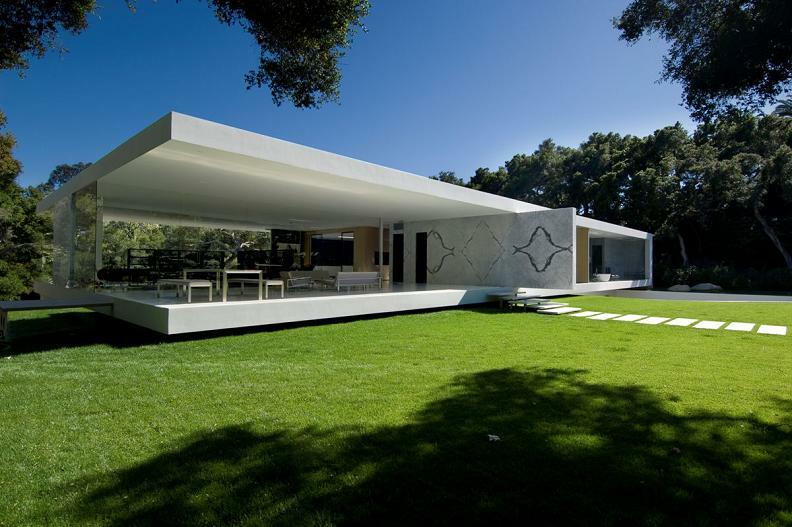 Steve Hermann has taken the architectural tenets of Mies Van Der Roh’s Barcelona Pavilion and Farnsworth house, as well as Phillip Johnson’s glass house and taken them into the new millennium. 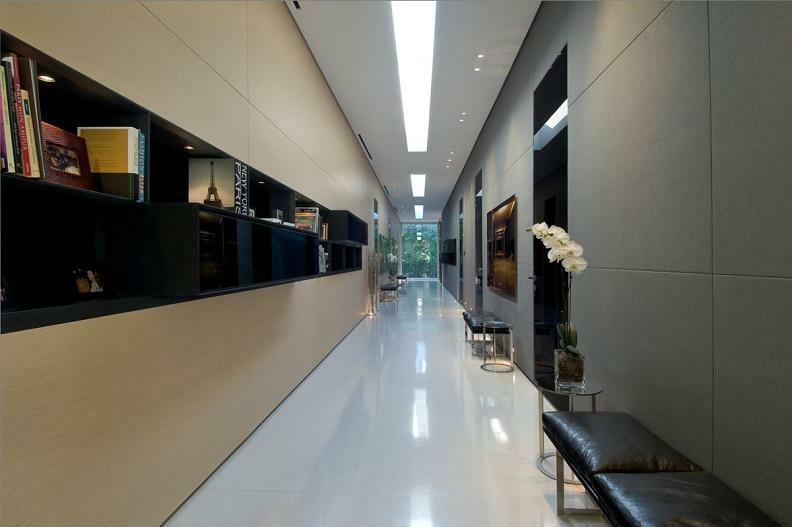 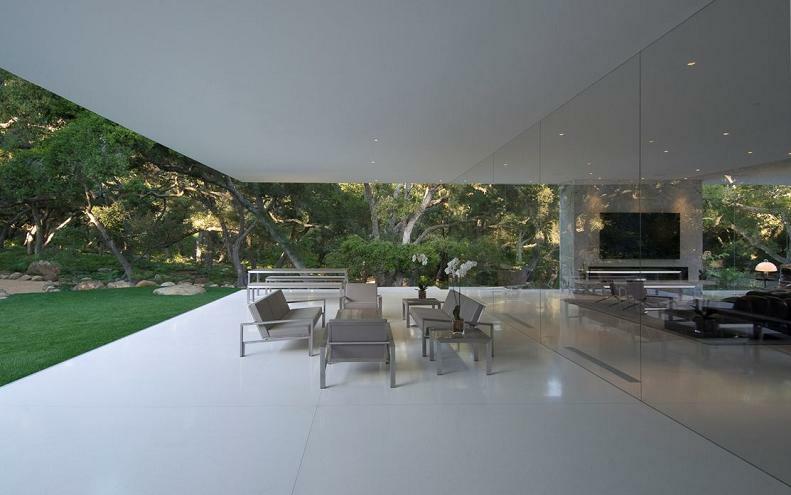 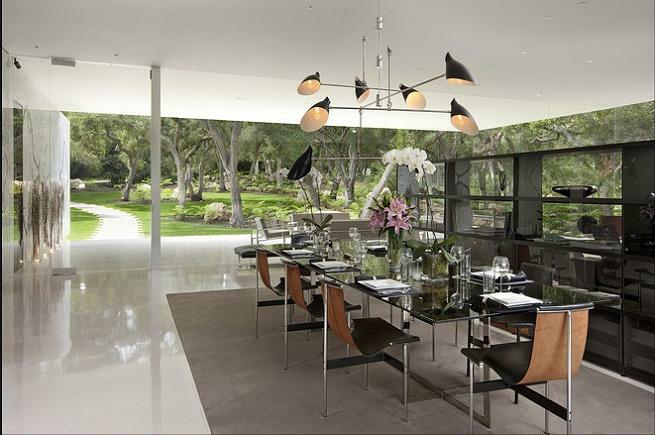 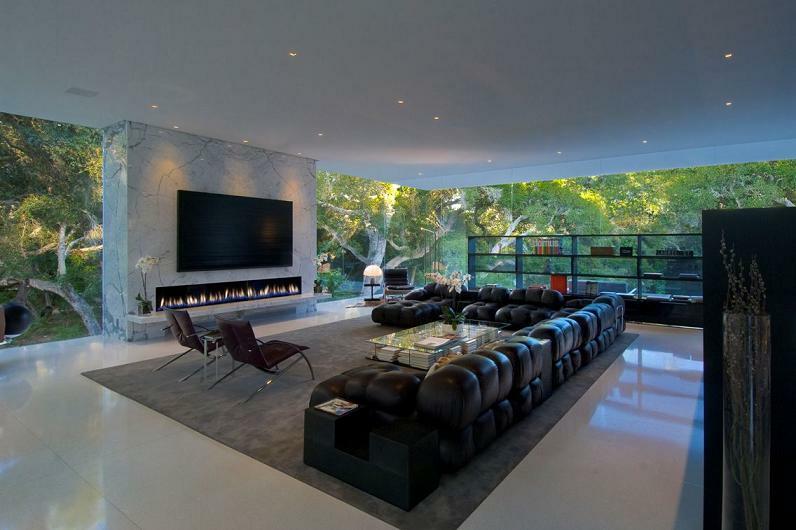 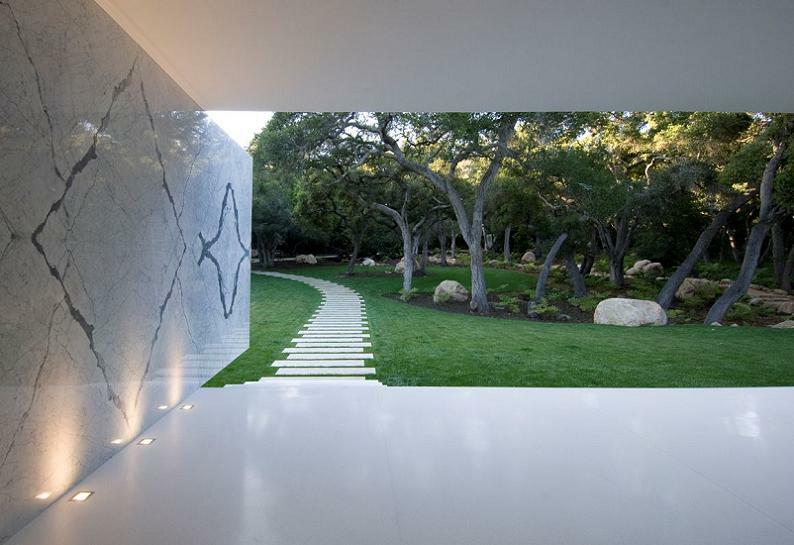 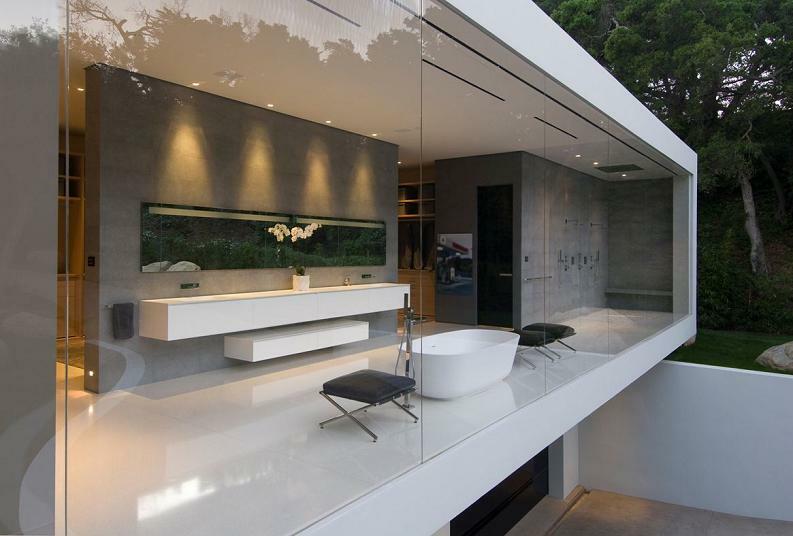 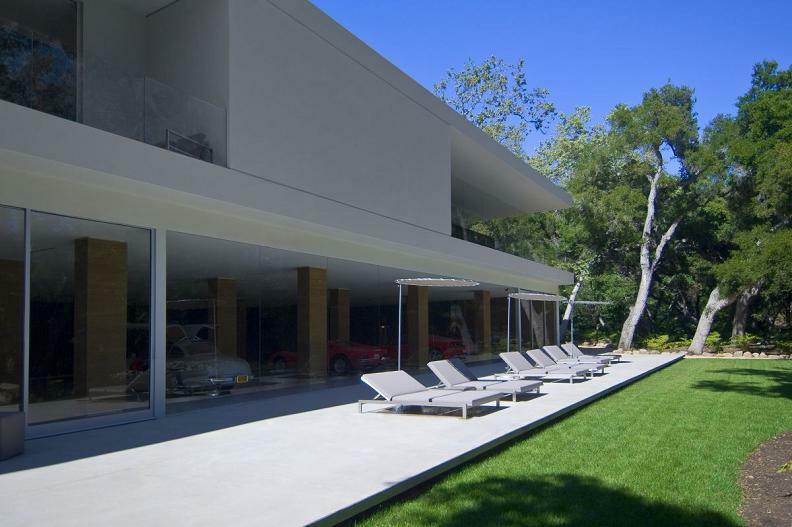 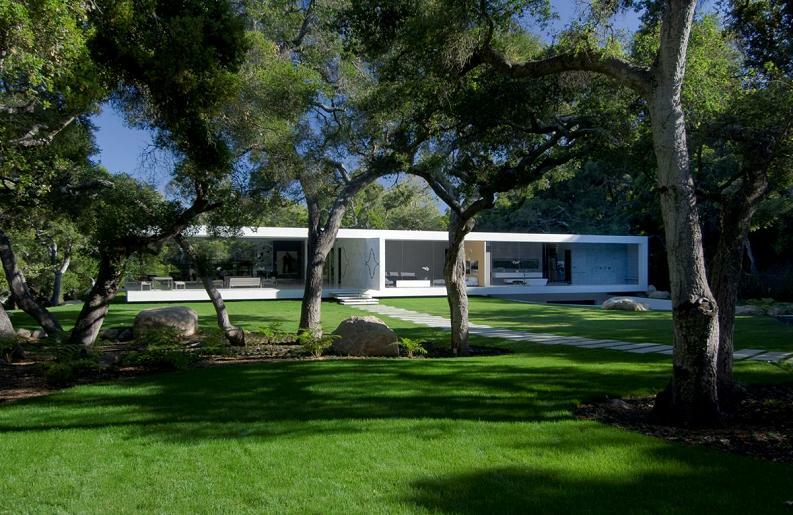 Set within a 3.5 acre estate of oak groves in Montecito, California, lays a home almost entirely of glass. 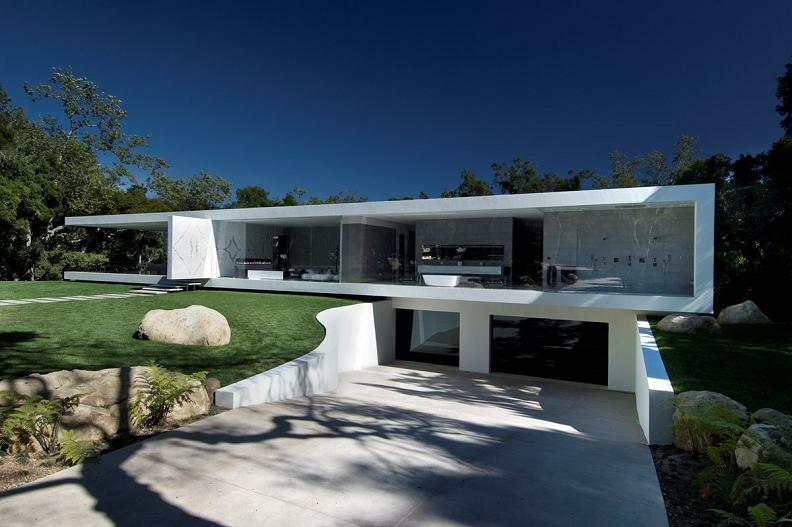 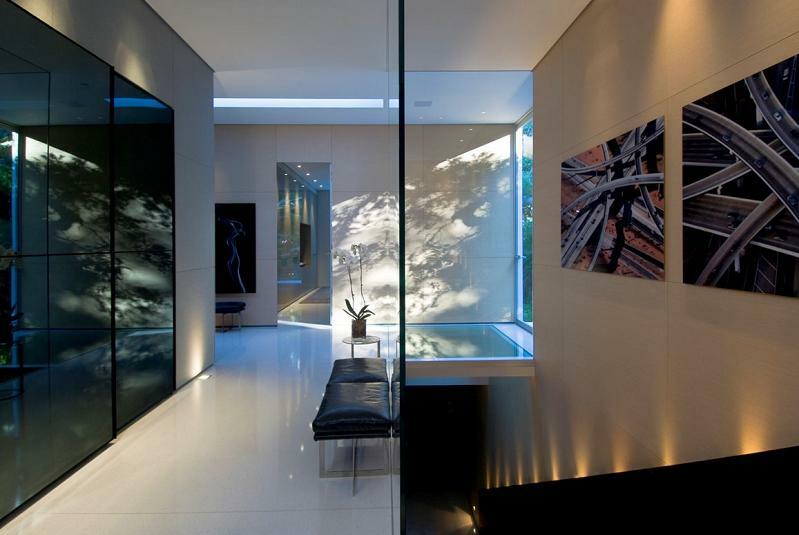 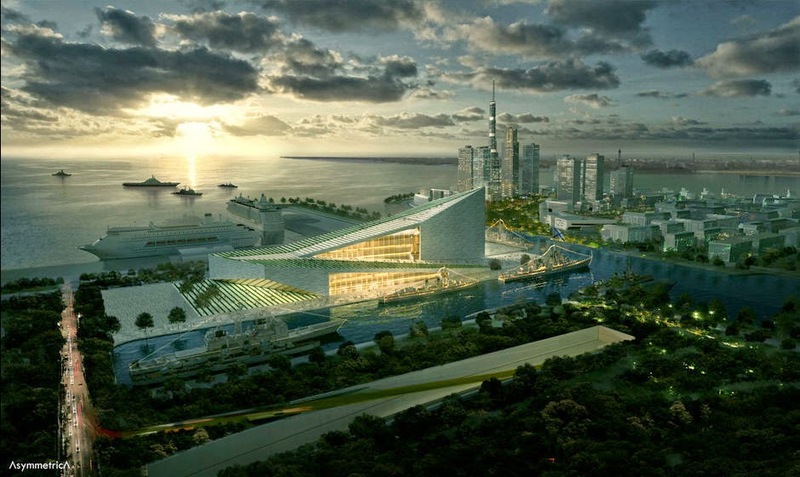 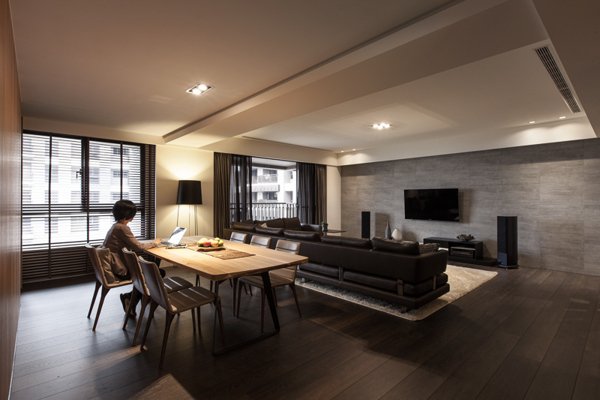 It allows the occupants to be comfortably inside while completely enveloped within nature. 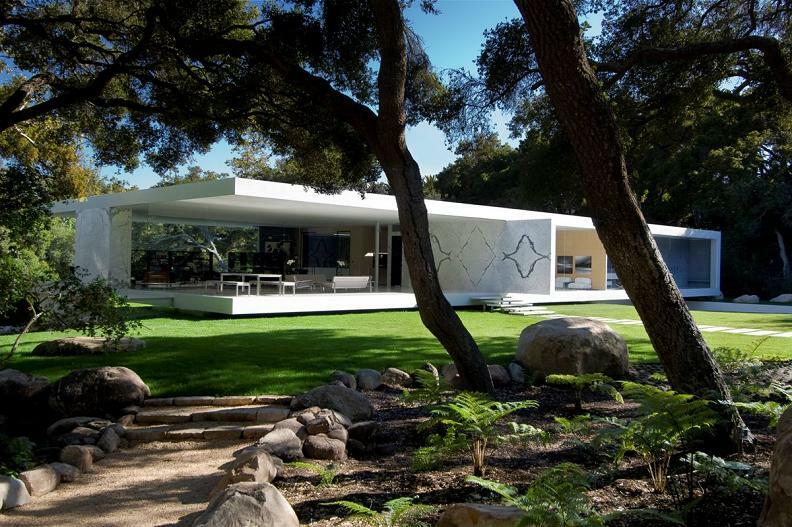 Through the use of massive structural beams, the home is able to appear weightless as it hovers above an expansive lawn. 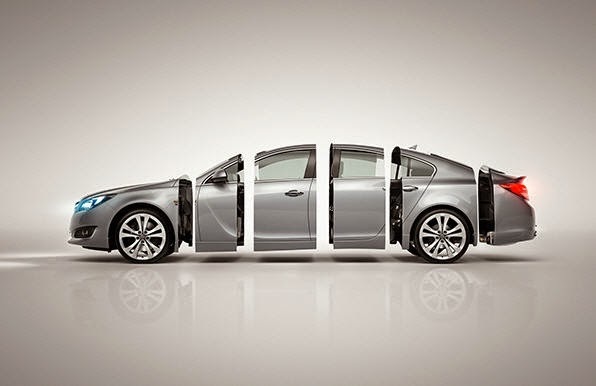 No expense has been spared during the six years that it took to complete.